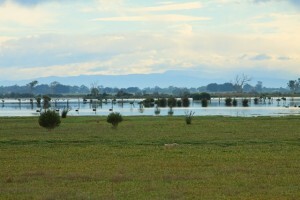 Heart Morass is a large wetland wedged between two Ramsar sites, at the confluence of the Thomson and Latrobe rivers near Sale. 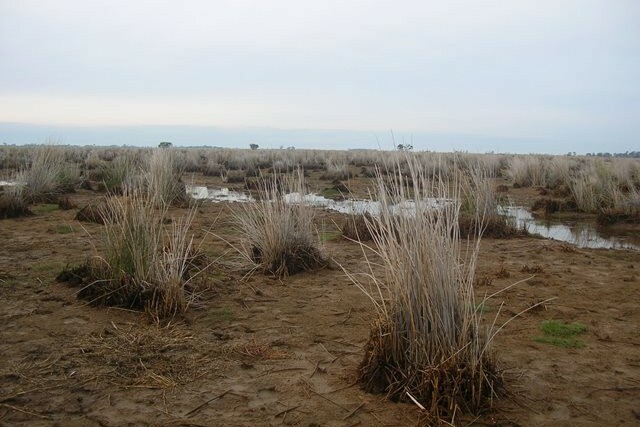 The wetland area was previously used for heavy grazing and it suffered from acid sulphate soils and salinity. 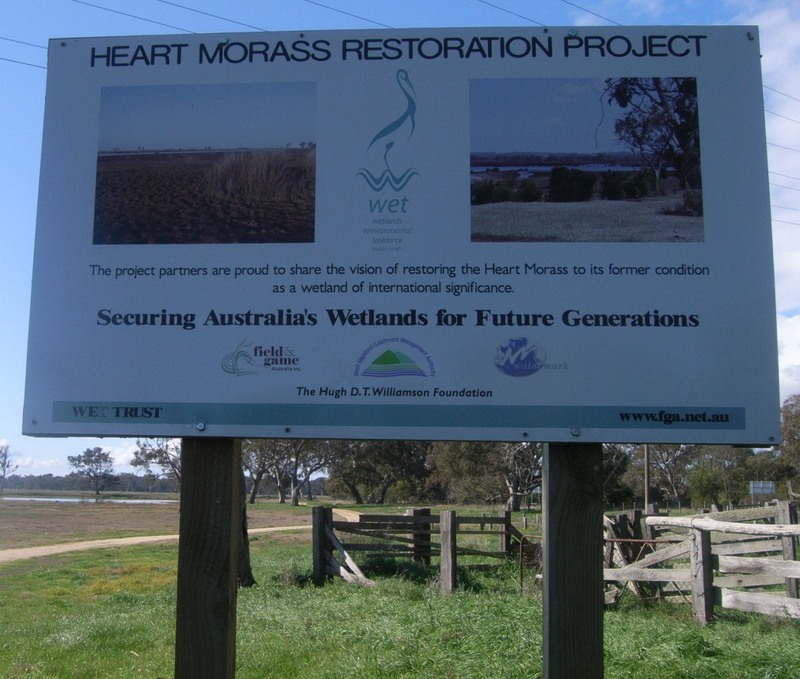 Active engagement of the local community has been fundamental to the success of the project; today the entire Heart Morass complex covers around 1,800 hectares. 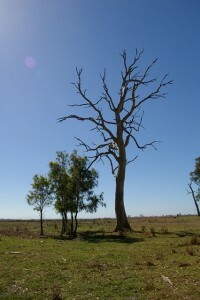 Heart Morass lies within an area of ecological diversity and complexity. It is a meeting place of waters and environments at the interface of two large ecosystems, the Gippsland Plains and the Gippsland Lakes. 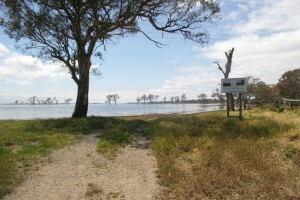 The permanent opening of Lakes Entrance to the ocean, together with reduced river flows because of upstream dams and irrigation has heavily affected Heart Morass. 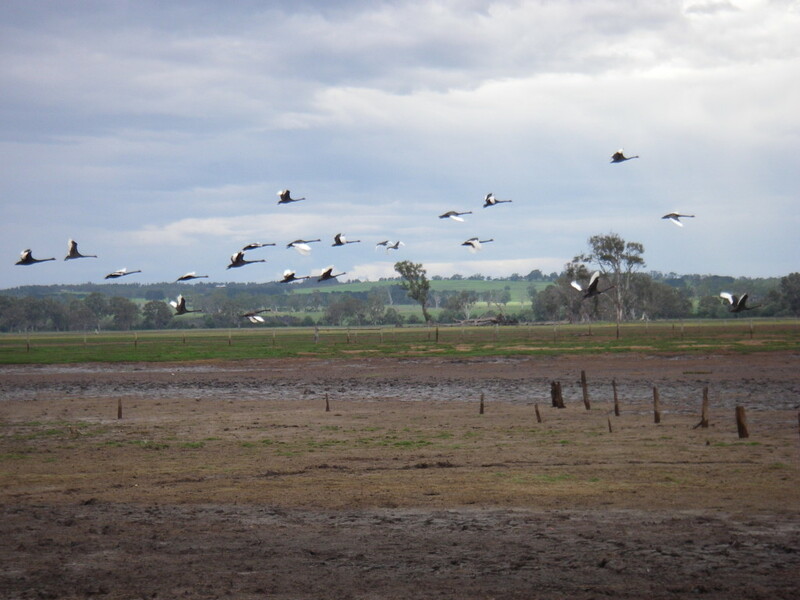 In 2006 the Heart Morass, a riverine wetland system was completely dry for the first time. Heavy grazing of the property up until this time meant that the ground layer of vegetation was absent. 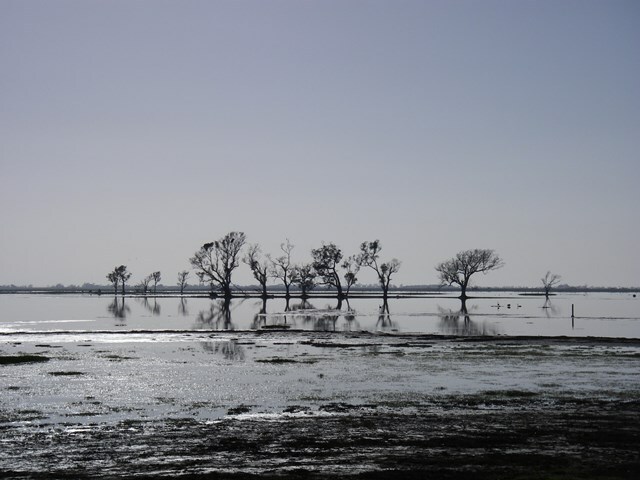 The dry, dusty conditions and salt-encrusted wetland bed created a symbolic “blank canvas” from which an iconic restoration project began. 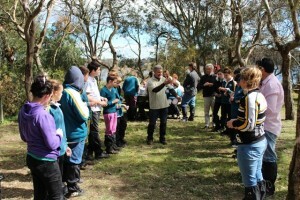 The project is built around a partnership between five key organisations, Bug Blitz Trust, Field and Game Australia, Hugh Williamson Foundation, Watermark Inc. and us. It aims to inspire and be inspired by the local community by restoring the values of the historic wetland. It is a unique partnership between hunters, conservationists and government which aspires to develop the Heart Morass Wetland as an icon. 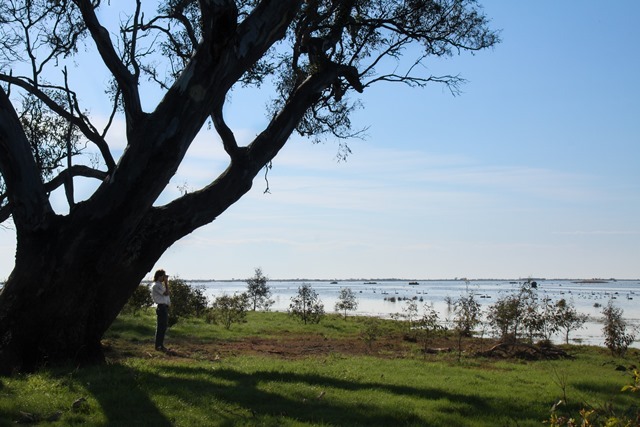 This is achieved by enhancing biodiversity, water quality and recreational and social values within the Heart Morass and through its contribution towards the health of the Gippsland Lakes. 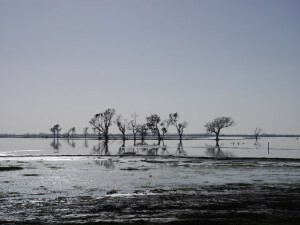 A community project has developed to support the purchase of over 1,000 hectares of the wetland area and undertake one of the largest restoration projects in Australia on private land. 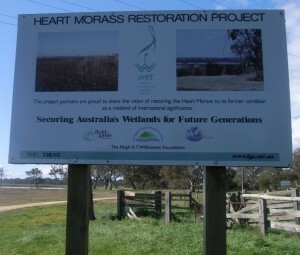 During the dry summer of 2006/07, we collected information for the Heart Morass restoration plan. 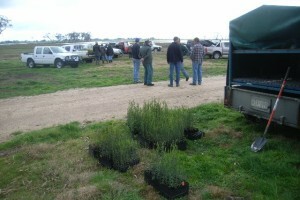 This was the beginning of a new era of management for the western Heart Morass. 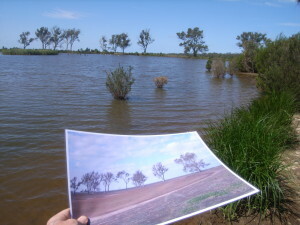 removed over 20 tonnes of carp. 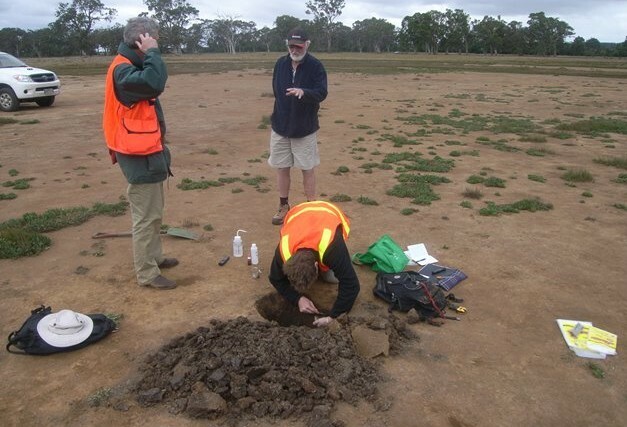 The EPA and Department of Defence are currently investigating high levels of PFAS found in Heart Morass. 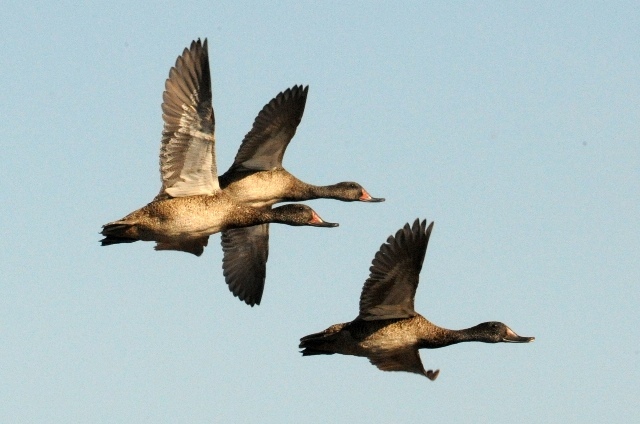 Advice from the EPA can be found on their website. 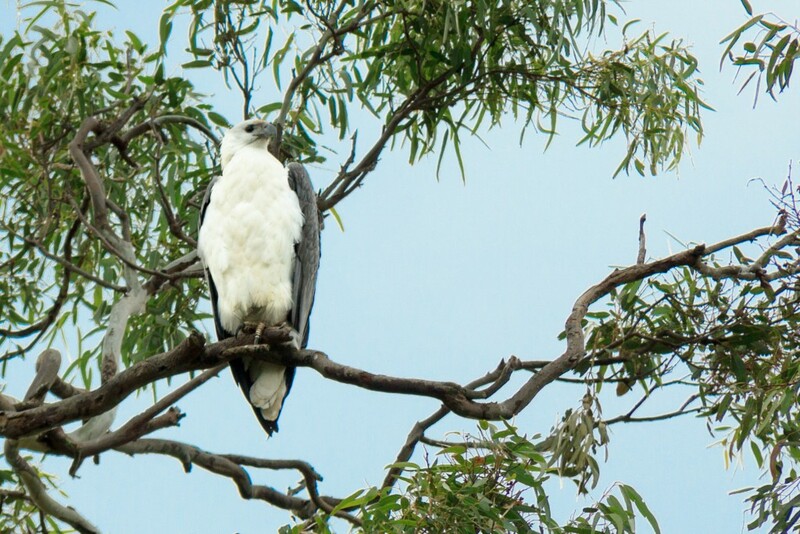 The recent purchase of an additional 245 hectares brings the entire area of woodlands and wetlands under management as part of the Heart Morass Restoration Project to 1,370 hectares. 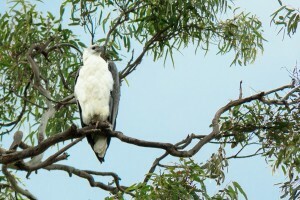 Of this 1,125 hectares is now covered by a protective covenant with Trust for Nature, one of the largest in Victoria. Extensive work has secured environmental water entitlements from the Latrobe, Thomson and Macalister Rivers. This water is fundamental to the restoration of the wetland. 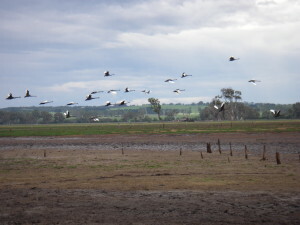 Encouraging seasonal weather patterns have contributed to the best ecological conditions seen within the wetland for many decades, over 30,000 water birds of many species have returned to the wetland in what has been described as a remarkable ecological transformation.